Speaking at a rally in West Bengal's Raiganj, Amit Shah said the BJP will throw the illegal migrants out once it comes to power. 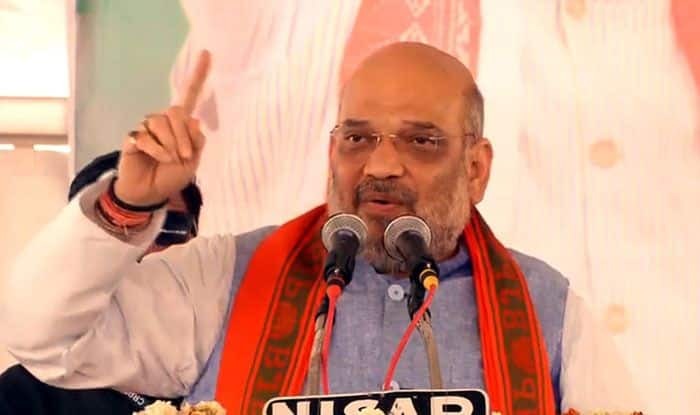 Referring to illegal migrants from Bangladesh as “termites”, BJP president Amit Shah on Thursday said his party will throw them out after coming to power at the Centre for a second consecutive term. Addressing a rally in Raiganj, he alleged that the Mamata Banerjee-led Trinamool Congress government in West Bengal was only interested in appeasing minorities. “The illegal immigrants are like termites. They are eating the grain that should go to the poor, they are taking our jobs. The T of TMC stands for Tushtikaran, (appeasement), M for Mafia and C for Chit funds,” Shah said. Maintaining that the countdown to “corrupt” TMC government’s downfall will begin on May 23, when the BJP bags 23 Lok Sabha seats from Bengal, Shah appealed to the voters to give the saffron party an opportunity to serve them.